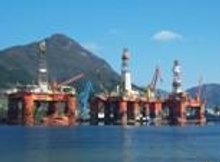 Transocean Arctic (Semi-submersible Drilling Rig) Marine and structural superintendency for global modifications, x-mas tree handling and upgraded crane replacement. Leader(Semi-submersible Drilling Rig), Wave damage analysis and repair. Paul B Loyd Jnr,(Semi-submersible Drilling Rig), Marine and structural superintendency for refit including double bottom renewal and structural upgrade for larger crane. Repairs in service. Inclining and stability work. Lightweight survey, winch and structural repairs in service. Offshore handling and dynamic motions analysis including engineered lift with splash zone wave impact for x-mas tree handling, skidding and deployment. Stability work, Inclining Experiments & Lightweight Survey. S704(Semi-submersible Drilling Rig), Marine and structural superintendency for engine replacement, skidding system, tank and piping modifications, mud pumps and distribution. J.W.McLean, (Semi-submersible Drilling Rig), New accommodation structural analysis and integration of supports into vessel structure, new crane and crash analysis of the heli-deck. Pride of Venezuela (Semi-submersible Drilling Rig), Project Manager for the Prime Contractor undertaking full blast and paint and coordinate special renewal survey. Prosafe Safe Caledonia (Semi-submersible Accomodation Rig), Engineering analysis from DP1 to DP2 upgrade. Transocean Rather, Damage Stability analysis. Safe Regency, Design of additional and upgraded piping systems for rig cooling. Stena Clyde, Structural superintendancy for rig upgrade.